Element 109 was made by Peter Armbruster, Gottfried Münzenber et al at Gesellschaft für Schwerionenforschung (GSI) in Darmstadt, Germany. In August 1982 they produced the first atom of the element with atomic number 109 by accelerating Iron atoms to a high energy then colliding them with a Bismuth target in the heavy ion accelerator UNILAC at GSI. They chose to name the new element after Lise Meitner (photo to right), the Austrian physicist who spent much of her career working in Germany. A professional life for an European woman was difficult in the early 20th century. Universities believed their resources should be reserved for men who needed to develop skills needed as earn a living for their families. Professors sometimes refused admittance of women believing them to be distractions for male students. Despite these problems, Meitner managed to earn a Doctorate in physics and gain post-graduate experience studying radioactivity. Jobs too were reserved for men. Women were expected to marry and tend the nursery and kitchen. Meitner had come to Berlin to audit lectures by Max Planck, Professor of Theoretical Physics at the University. Heinrich Rubens, Professor of Experimental Physics at the University, arranged for Meitner to do radiation work with Otto Hahn at the Chemical Institute, part of the Kaiser Wilhelm University in Berlin. 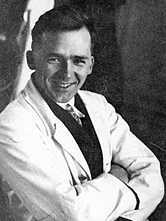 Hahn was a chemist who had been invited by its director, Emil Fischer, to establish a radiation laboratory at the Institute. Hahn eventually became the Institute director and later its president. Meitner would work in a single basement room with outside door for little or no pay and at first was barred from setting foot anywhere else in the Institute. Otto Hahn, a chemist who had perfected his analytical separation skills while skipping classes in physics and mathematics, made a good team with Meitner who excelled in physics, mathematics and radiation measurements. 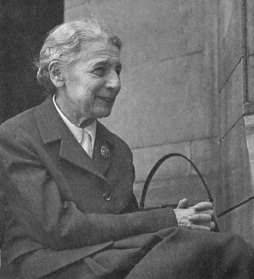 Hahn enjoyed working with women, and the very shy Meitner was comfortable working with the informal Hahn. The worked together for thirty years and remained close friends for life. 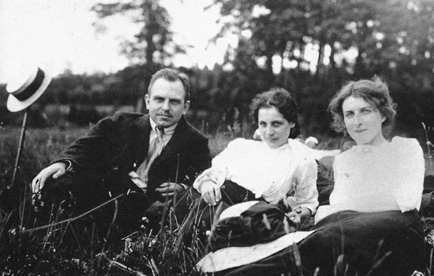 (Photo of picnic with Hahn, Meitner, and one of Planck twins; presumably other twin was behind camera.) There relationship was one of colleagues and close friends, but tight German social pressures may have precluded any romantic interests. While Hahn was away on the battle front during World War I, Meitner searched for the radioactive element that produced the element Actinium. She corresponded often with Hahn and in 1917 authored a paper describing discovered the radioactive metal Protactinium (Pa = #91). (More details with Protactinium. She listing Hahn as the senior investigator. Following Enrico Fermi's proposal in the 1930s that neutrons might provide a means of producing nuclear changes, Meitner attempted to produce atoms larger than any known by colliding neutrons into Uranium. A chemist at the Chemical Institute, Fritz Strassmann (photo to left), did the chemical separations and attempted to identify the new products. 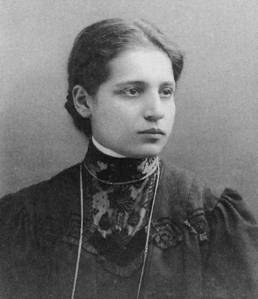 Born a Jew, Meitner had withdrawn Jewish registration and was baptized a Protestant in 1908. But in 1938 that mattered little to the Nazis. Her physics friends worked on both sides of the Atlantic to find a safe haven. She was refused a travel visa, passport, and the required travel papers. Debye arranged with Fokker in Holland for a secret escape attempt. Meitner spent the last evening working until 8PM, packed, then spent the night at Hahn's house. Rosebuad drove her to the train in the morning. Dirk Costner came from Holland, spent the night with Debye then met Meitner on the train and accompanied her on a lightly traveled route, crossing the border as a couple at a small station where a Costner friend was an influential politician. She escaped from Germany as the local police searched to arrest her. Coster sent a telegram that the baby had arrived and was deluges with congratulations. Wolfgang Pauli wrote, You have made yourself as famous for the abduction of Lise Meitner as for [the discovery of] Hafnium. Meitner fled to Stockholm and later visited Niels Bohr in Copenhagen. Hahn kept Meitner abreast of Strassmann's results by mail and she tried to explain the results. Hahn visited Bohr and Meitner in Copenhagen and was told that the results were a physicist's nightmare, a catalog of everything wrong. Just before Christmas, Hahn wrote that Strassmann found the Radium portion of the product acted like Barium. Hahn asked her to consider the possibility that the new substance was a VERY heavy isotope of Barium. Meitner was joined on the Swedish coast for Christmas by her nephew, Otto Robert Frisch (photo at right), who had worked with Bohr on the compound nucleus idea. Frisch questioned if Strassmann might be wrong. Frisch recalled Meitner had confidence in Strassmann. ...We walked up and down in the snow, I on skis and she on foot. ...and gradually the idea took shape... explained by Bohr's idea that the nucleus is like a liquid drop; such a drop might elongate and divide itself... We knew there were strong forces that would resist, ..just as surface tension. But nuclei differed from ordinary drops. At this point we both sat down on a tree trunk and started to calculate on scraps of paper. ...the Uranium nucleus might indeed be an unstable drop, ready to divide itself... But, ...when the two drops separated they would be driven apart by electrical repulsion, about 200 MeV in all. Fortunately Lise Meitner remembered how to compute the masses of nuclei... and worked out that the two nuclei formed... would be lighter by about one-fifth the mass of a proton. Now whenever mass disappears energy is created, according to Einstein's formula E = mc2, and... the mass was just equivalent to 200 MeV; it all fitted! Meitner was convinced that the product actually was Barium rather than a homologue. The nightmare of contradictory evidence all fit the explanation that Uranium had fissioned (broke into pieces) rather than form a heavier element. Frisch calculated the energy needed, and Meitner calculated the energy available. The other fragment must be Krypton to conserve atomic number. 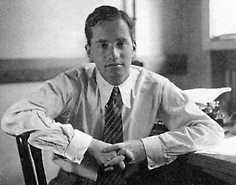 Returning to Copenhagen, Frisch told their friend Niels Bohr who carried the proposal to New York where physicists used it as the theoretical basis for undertaking the Manhattan project to develop an atomic bomb. (The 200 MeV of energy released due to lost mass would be more powerful than chemical explosives.) Frisch immediately did research to confirm their proposal. Meitner also write Otto Hahn who announced that HE and Strassmann had discovered fission (with no mention of Meitner's or Frisch's contributions) and subsequently won the 1944 Nobel Prize for Chemistry for the discovery of fission. While remaining personal friends, Meitner never again worked with Hahn. Neither Hahn nor the remaining German physicists understood fission well enough to successfully build a German atomic bomb. Meitner tried to work during the war at the Siebahn Institute in Norway in what she described as an unimaginably empty building. After the war she taught physics in the United States. Meitner found the foreign languages isolated and handicapped her. She was never again able to establish facilities adequate for contributing to the advancement of nuclear theory.